Canada immigration is an amazing process given the fact that the government conducts it such an orderly manner. The Canadian immigration process starts at the time when you prepare the concerned express entry profile. So, you include all your valid details like IELTS score and educational assessment which have to be arranged. It’s not easy to get all them without taking the help of a consultant. Now, to get this Canada PR is no easy task. Problems can arise when your NOC code does not match with the profile in which you have education and experience. In fact, the government then needs to know the details of your experience and just an ECA is not enough. How soon can PR be approved? There can a little time lapse between putting the express entry profile and getting the ITA, for example, a time gap of 15 days. The PR application can also get rejected due to various kinds of mistakes like the incorrect format of a document. So, a resubmission of a PR application becomes vital. However, after the PR application has been submitted, the right to PR can be received by a candidate within 20 days. So, the time length of the entire process might be nothing more, than 8 months. A major time, however, can elapse between the filing of the form for evaluation of transcripts and then get the ECA report. It can be 1 month. The way Canada has been handling the express entry system has been responsible for the large increase in submission of express entry profiles. Instead of 8 months, the candidates whose applications have been filed precisely have actually received the right to PR within half a year to 10 months also. 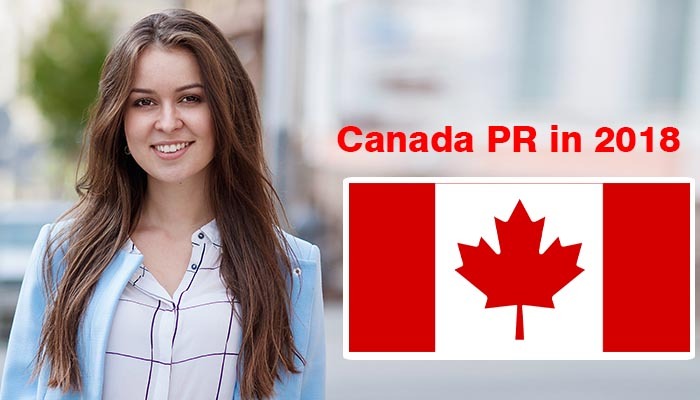 Age: The best age to apply for the PR of Canada, is when you are in the age group of 20-year-olds. One is able to score the most points for the factor of “age”. 12 points are given as per the federal skilled worker system to those, who have not yet crossed the age barrier of 35. As per the comprehensive ranking system, a candidate will be awarded as much as 100 points. At least be a post-graduate: Education is quite important for someone who wants to immigrate to Canada. You just can’t do without a post graduation diploma. This kind of diploma is essential for scoring a commendable number of points. With a 1 year diploma after graduation, a candidate can earn as much as 128 points which is a great contribution towards your total CRS score. Increasing the score in IELTS bands: If its possible for you, try to appear for the IELTS exam as many times as you can, to enhance your IELTS score. It’s better to get a score of 9 or even 10, in the 4 IELTS exam bands.